Presenting our Destiny Collection, for a ring that will stay with your love as long as the stars are burning. 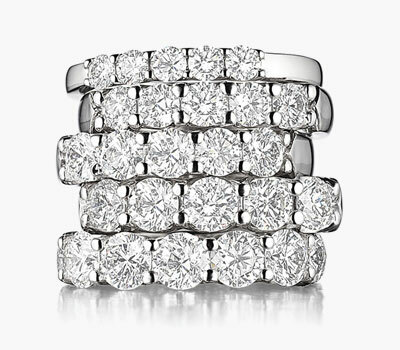 Starting with the classic 3-stone ring to symbolize your past, your present, and your future, to the timeless 5-stone anniversary ring, and ending with multiple-stone bands. Whether you’re getting ready to say 'yes' or 'I do' or 'I would do it all over again', we have the perfect ring to express your commitment. Finely crafted in platinum with brilliant diamonds in a variety of sizes.